The panelists who selected the 2016 Small-Cap Biotech Watchlist are George Zavoico of JonesTrading International Services, Mara Goldstein of Cantor Fitzgerald, Reni Benjamin of Raymond James, Ragharum [Ram] Selvaraju of Rodman and Renshaw, and Mike King of JMP Securities. Each selected four names for the list; one company got the nod from two analysts. The analysts will discuss their choices in depth with investors at the Biotech Showcase 2016, running Jan. 11-13 at the Parc 55 Hotel in downtown San Francisco. The Watchlist panel discussion will take place at 8 a.m. on Tuesday, Jan. 12. Read on to learn what the analysts have to say about the companies they chose for the list. ADMA Biologics Inc. (NASDAQ:ADMA); ~$100 million ($10M) market cap. Considered a niche player in the multibillion-dollar plasma-derived intravenous immune globulin [IVIG] space, ADMA completed Q3/15 with multiple significant achievements, including the acceptance for review of the company's biologics licensing application [BLA] filing for RI-002, FDA approval of a second plasma collection center, and securing a patent to protect RI-002. With approval of RI-002 expected in Q3/16, an experienced management team to market RI-002, an established baseline revenue to offset burn, and $20.9M in cash and cash equivalents, the company remains undervalued and is recommended for the risk-tolerant investor. Fate Therapeutics Inc. (NASDAQ:FATE); ~$115M market cap. Called a hidden gem in the cell therapy space, Fate Therapeutics is developing small molecules to modulate/enhance a variety of cell types. Based on the induced pluripotent stem cell [iPSC] platform, protected by nearly 30 issued patents, and an adaptive natural killer [NK] cell technology advancing in preclinical studies, the company is building up a cancer immunotherapy franchise. With lead candidate ProHema already in clinic, cancer immunotherapy assets to provide upside, and a cash position of $72.9M, Fate shares are recommended to risk-tolerant investors. Galena Biopharma Inc. (GALE); ~$240M market cap. Galena Biopharma's NeuVax, a novel cancer vaccine targeting a global market worth more than $5 billion ($5B), is being evaluated in the Phase 3 PRESENT trial. More than 70 events are anticipated in Q1/16, and interim results are expected in Q2/16. Based on analysis of the clinical trial design and previous trial results, the study will likely be allowed to continue, creating value for shareholders in the near term. Verastem Inc. (NASDAQ:VSTM); ~$80M market cap. A Biotech Watchlist veteran, Verastem is working to pick itself up in the wake of the pivotal Phase 2 COMMAND trial failure. New preclinical data has emerged regarding the use of focal adhesion kinase [FAK] and protein tyrosine kinase-2 [PYK2] inhibitors to enhance the efficacy of existing immunotherapy treatments. The stock continues to trade at <1x cash (approximately $120.5M as of Q3/15), but with a lower quarterly burn rate going forward, continued progress in defining the effect of FAKs on T cells, and release of data on VS-5584, the company could be valued at a 50% premium from current levels, representing an attractive entry point for long-term investors. Array BioPharma Inc. (NASDAQ:ARRY); ~$565M market cap. This firm is working on late-stage clinical programs with modest expectations. Array's binimetinib is currently being developed for ovarian cancer and melanomas, but combinations provide for a long-lived pipeline. An ex-US partnership is expected. A read-out from the company's NEMO trial is expected in Q4/15. The company is Buy-rated with a $13/share price target. Ignyta Inc. (NASDAQ:RXDX); ~$420M market cap. Ignyta takes a targeted approach to oncology, focusing on integrated therapies and diagnostics. This methodology derisks its clinical trials. The company has an efficient "basket design" that allows for multiple data points, a big pipeline and an aggressive business development strategy. The company is Buy-rated with an $18/share price target. Risks include the potential need to raise additional cash by late 2017. Applied Genetic Technologies Corp. (NASDAQ:AGTC); ~$310M market cap. Making its second appearance on the Small-Cap Biotech Watchlist, AGTC is a gene therapy company focused on ophthalmology, with two programs in clinical development. The company has entered into a transformative deal with Biogen, has a long cash runway, and has milestones that could drive value. Because of the rare diseases being targeted, the trials are small and speed may be a concern. The company is Buy-rated with a $32/share price target. FlexPharma (NASDAQ:FLKS); ~$215M market cap. Flex Pharma represents a unique biotech play in that it is developing a consumer product-a drink-for athletes suffering from muscle cramps. The company's target market, leg cramps and spasticity, has substantial potential, and Flex has a number of products in the pipeline as well. In terms of risk, a modest consumer rollout of the drink product is expected in 2016; the company has limited proprietary intellectual property and is an early stage of development. FlexPharma is Buy-rated with a $27/share price target. Agenus Inc. (NASDAQ:AGEN); ~$400M market cap. Agenus has a broad portfolio of immune checkpoint modulators [CPMs], a great scientific platform, and partnerships with Merck and Incyte for several of its clinical and preclinical therapies. Heat shock protein vaccines for glioblastoma multiforme and use in combination therapies are in Phase 2. Investors can expect one or more clinical candidates to be declared in 2016. Akebia Therapeutics Inc. (NASDAQ:AKBA); ~$300M market cap. This company's key asset is vadadustat, a stabilizer of the hypoxia inducible factor [HIF] family member HIF-2 alpha for the treatment of anemia associated with chronic kidney disease [CKD] and end-stage renal disease [ESRD]. 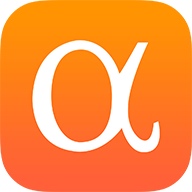 Akebia is expected to share the market for oral anemia drugs with FibroGen Inc. [FGEN]. Milestones in 2016 include a possible partnership for marketing vadadustat in Europe, and initiation of Phase 3 trials for the treatment of ESRD. Pieris Pharmaceuticals Inc. (NASDAQ:PIRS); ~$100M market cap. Pieris Pharmaceuticals has a proprietary biologics platform in the field of anticalins, based around the biology of lipocalins, proteins that are abundant in the human body. Multiple therapeutic target areas for the therapy include anemia, asthma and immuno-oncology. The biotech is partnered with some of the world's leading pharmaceutical companies, including Sanofi and Daiichi Sankyo. Milestones in 2016 include additional business development partnerships and data from the company's hepcidin and IL-4 programs. FlexPharma gets another nod from King, who calls the company a leader in the field of the biology underlying muscle cramping. He admires FlexPharma's two-tiered business model: One side for the treatment of spasticity associated with multiple sclerosis, ALS and nocturnal leg cramps, and the other side based around the proprietary sports beverage that prevents cramping in extreme athletes, which he believes could be Gatorade- or Red Bull-like in its market potential. 2016 milestones include targeted product launch in select U.S. territories and data readouts for NLC studies. Synergy Pharmaceuticals Inc. (SGYP); ~$700M market cap. Synergy is a risk-mitigated firm focusing on the lucrative gastroenterology sector. Its lead drug candidate, plecanatide, has completed Phase 3 trials in chronic idiopathic constipation [CIC] and is currently in pivotal development for irritable bowel syndrome with constipation [IBS-C]. The firm also has an intriguing second pipeline candidate, dolcanatide, in development for the treatment of opioid-induced constipation and inflammatory bowel diseases, particularly ulcerative colitis. The most anticipated catalyst for 2016 is the submission of a new drug application [NDA] for plecanatide in the U.S. for the CIC indication. Synergy is also slated to release top-line data from two Phase 3 trials of plecanatide in IBS-C during H1/16. Oramed Pharmaceuticals Inc. (NASDAQ:ORMP); ~$107M market cap. Oramed is developing next-generation orally bioavailable formulations of existing peptide-based therapeutics. The company's pipeline is primarily diabetes-oriented, with two clinical-stage candidates. ORMD-0801 is an orally bioavailable formulation of insulin, and ORMD-0901 is an orally bioavailable formulation of the well-known glucagon-like peptide 1 [GLP-1] agonist exenatide, currently sold as AstraZeneca's Byetta and Bydureon. The analyst is particularly enthused about the oral bioavailability-rendering capabilities of Oramed's technology platform, as well as the firm's development of agents based on well-validated existing peptide drugs with a lengthy track record in diabetes. Oramed is currently in late-stage discussions with a well-known Chinese firm, Sinopharm, regarding a licensing deal for the regional rights to ORMD-0801. This transaction could be inked in late 2015. The firm is also conducting a Phase 2b trial of ORMD-0801 that could report top-line data in H2/16. If positive, this data could catalyze significant acquisition and licensing interest. Evoke Pharma Inc. (NASDAQ:EVOK); ~$25M market cap. This specialty pharmaceuticals company developing an intranasal formulation of an existing drug called metoclopramide for the treatment of diabetic gastroparesis, an upper gastrointestinal [GI] tract disorder. Metoclopramide has been marketed for many years as a treatment for the condition, yet has suboptimal absorption when administered orally. Evoke is currently conducting a Phase 3 trial with its intranasal formulation of metoclopramide, EVK-001, which is slated to complete enrollment within the next few months, and which could report data in H2/16. Positive top-line results could spur acquisition of the company by a more established firm active in the GI tract disorders domain, or permit the company to file for regulatory approval in the U.S. for EVK-001 via the 505[b] pathway. CorMedix Inc. (NYSEMKT:CRMD); ~75M market cap. CorMedix is an anti-infective company developing Neutrolin, which is being positioned as a catheter lock solution [CLS] administered to prevent the colonization of central venous catheters by various micro-organisms, principally bacteria and fungal infections. Neutrolin is unique because it combines an anti-coagulant, heparin, with a broad-spectrum anti-infective agent, taurolidine, which is effective against both bacterial and fungal strains, evades resistance, and is capable of preventing biofilm formation. CorMedix is on the cusp of starting a Phase 3 trial of Neutrolin for the treatment of catheters in patients undergoing hemodialysis. An interim analysis of this trial could occur in 2016; if positive, it could catalyze the acquisition of the company or the successful outlicensing of Neutrolin product rights in the U.S. Despite developing a resistance-evading agent and focusing on a specialized hospital-based market, CorMedix currently trades at a significant discount to peer publicly traded, single-product, anti-infective firms. Abeona Therapeutics Inc. (NASDAQ:ABEO); ~$135M market cap. This new company has two high-value platforms. The first, a gene therapy targeting rare diseases, is earlier stage and higher risk. The second, a plasma protein platform that also targets rare diseases, is lower risk, and has a faster development path. Both platforms have the possibilities for high reward on investment, and the fact that the company has two platforms mitigates risk. By the end of 2016 Abeona should have four clinical trials underway: two for its gene therapy programs for Sanfilippo syndromes Type IIIB and Type IIIA, and two plasma protein bioequivalence studies for alpha-1 antitrypsin deficiency and various immunosuppressive diseases. Pain Therapeutics Inc. (PTIE); ~$90M market cap. Opioid abuse is a growing epidemic, and the pressure is on to develop better abuse-deterrent formulations. Pain Therapeutics is developing two such products, one oral and the other a patch. Pfizer returned rights to the company's lead product, Remoxy (oxycodone extended-release capsules), for reasons that have nothing to do with efficacy and safety, so that should not detract from the therapy's potential superiority against competitors. The company is expected to refile a new drug application [NDA] for Remoxy in Q1/16, with the possibility of a six-month review cycle. The patch product, Fenrock, is expected to qualify for the more rapid 505[b] clinical development path. Asterias Biotherapeutics Inc. (NYSEMKT:AST); ~$175M market cap. This stem cell company is addressing two key markets: spinal cord injury, a high-risk, high-reward indication with good supporting preclinical results; and cancer, with a dendritic cell [DC] therapy using genetically engineered autologous and allogeneic stem cells. Durable survival was reported in a small Phase 2 trial in acute myeloid leukemia [AML]. Interim safety and efficacy results are forthcoming from what is expected to be a therapeutic dose of stem cells for treating complete cervical cord injury. Final design for a pivotal Phase 3 trial in AML for an autologous stem cell DC therapy, and commencement of a Phase 1/2 trial for an allogeneic DC stem cell therapy for cancer, are expected by year-end 2016. Peregrine Pharmaceuticals Inc. (PPHM); ~$255M market cap. Another company making a repeat appearance on the Small-Cap Biotech Watchlist, Peregrine's lead drug candidate is an antibody, bavituximab, which targets phosphatidylserine, a cell membrane phospholipid and an immune checkpoint in cancer. A Phase 3 trial in non-small cell lung cancer [NSCLC] of bavituximab in combination with docetaxel as second-line therapy is ongoing. Additional Phase 2 trials with other immune checkpoint inhibitors are expected to start next year. Upcoming milestones include the Phase 3 SUNRISE trial interim results, expected midyear, and the final results expected in early 2017. Interim results from one or more of the company's Phase 2 trials are also expected during the year, including trials combining bavituximab with anti-PD-1 (nivolumab) and anti-PD-L1 (durvalumab) antibodies in NSCLC and various solid cancers, respectively. Dr. Reni Benjamin is a senior biotechnology analyst at Raymond James. His expertise focuses on companies in the oncology and stem cell sectors. Benjamin has been ranked among the top analysts for recommendation performance and earnings accuracy by StarMine, has been cited in a variety of sources including The Wall Street Journal, Bloomberg Businessweek, Financial Times and Smart Money, and has made appearances on Bloomberg television/radio and CNBC. He authored a chapter in "The Delivery of Regenerative Medicines and Their Impact on Healthcare," has presented at various regional and international conferences, and has been published in peer-reviewed journals. He is a past member of the UAB School of Health Professions' Deans Advisory Board. Prior to joining Raymond James, Benjamin was a managing director and senior biotechnology analyst at H.C. Wainwright, Burrill Securities and Rodman & Renshaw. He was also an associate analyst at Needham and Company. Benjamin earned his doctorate from the University of Alabama at Birmingham in biochemistry and molecular genetics by discovering and characterizing a novel gene implicated in germ cell development. He earned a bachelor's degree in biology from Allegheny College. Michael G. King Jr. is a managing director and senior biotechnology analyst at JMP Securities. King comes to JMP from Rodman & Renshaw LLC, where he was managing director and senior biotechnology analyst. He has more than 17 years of experience as a leading biotechnology equity research analyst, consistently ranking at the top of Institutional Investor magazine's annual sellside research survey, in addition to being named that publication's "Home Run Hitter" in 2000. King also served as senior vice president of corporate development and communication at ZIOPHARM Oncology [ZIOP:NASDAQ]. Prior to joining ZIOPHARM, King was a managing director and senior biotechnology analyst at Wedbush Securities. He holds a bachelor's degree in finance from Baruch College. Raghuram "Ram" Selvaraju's professional career started at the Geneva-based biotech firm Serono in 2000, where he discovered the first novel protein candidate developed entirely within the company. He subsequently became the youngest recipient of the company's Inventorship Award for Exceptional Innovation and Creativity. Selvaraju started in the securities industry with Rodman & Renshaw as a biotechnology equity research analyst. He was the top-ranked (#1) biotech analyst in The Wall Street Journal's "Best on the Street" survey (2006) and went on to become head of healthcare equity research at Hapoalim Securities, the New York-based broker/dealer subsidiary of Bank Hapoalim B. M., Israel's largest financial services group. While at Hapoalim, Selvaraju was regularly featured in The Wall Street Journal, Barron's, BioWorld Today, and Reuters/AP. He was also a regular guest on the Bloomberg TV program "Taking Stock," appeared with Bloomberg TV's on-air correspondents Betty Liu and Gigi Stone and was a guest on CNBC's "Street Signs with Herb Greenberg." Dr. George Zavoico, senior equity analyst at JonesTrading Institutional Services LLC, has more than 10 years of experience as a life sciences equity analyst writing research on publicly traded equities. His principal focus is on biotechnology, biopharmaceutical, specialty pharmaceutical, and molecular diagnostics companies. Previously, Zavoico was a senior equity research analyst in the healthcare sector at MLV & Co., and an equity analyst at Cantor Fitzgerald and Westport Capital Markets. Prior to becoming an equity analyst, Zavoico established his own consulting company serving the biotech and pharmaceutical industries, providing competitive intelligence and marketing research, due diligence services and guidance in regulatory affairs. Zavoico began his career as a senior research scientist at Bristol-Myers Squibb Co., moving on to management positions at Alexion Pharmaceuticals Inc. and T Cell Sciences Inc. (now Celldex Therapeutics Inc.). Zavoico has a bachelor's degree in biology from St. Lawrence University and a Ph.D. in physiology from the University of Virginia. He held post-doctoral fellowships at the University of Connecticut School of Medicine and Harvard Medical School/Brigham & Women's Hospital. He has published more than 30 papers in peer-reviewed journals and has coauthored four book chapters. He received The Financial Times/Starmine Award two years in a row for being among the top-ranked earnings estimators in the biotechnology sector. This interview was conducted by Staff of The Life Sciences Report and it can be read in its entirety here. 1) Tracy Salcedo compiled this article for Streetwise Reports LLC, publisher of The Gold Report, The Energy Report and The Life Sciences Report, and provides services to Streetwise Reports as an employee. She owns, or her family owns, shares of the following companies mentioned in this interview: None. 3) Reni Benjamin: I own, or my family owns, shares of the following companies mentioned in this interview: None. I personally am, or my family is, paid by the following companies mentioned in this interview: None. My company has a financial relationship with the following companies mentioned in this interview: ADMA Biologics Inc., Galena Biopharma Inc. I was not paid by Streetwise Reports for participating in this interview. Comments and opinions expressed are my own comments and opinions. I determined and had final say over which companies would be included in the interview based on my research, understanding of the sector and interview theme. I had the opportunity to review the interview for accuracy as of the date of the interview and am responsible for the content of the interview. 4) Mara Goldstein: The analyst certifies that all of the views expressed in this research report accurately reflect her personal views about any and all of the subject securities or issuers featured; and no part of any of the research analyst's compensation was, is, or will be, directly or indirectly related to the specific recommendations or views expressed by the research analyst in this report.For important disclosures on companies mentioned in this report, please contact the Cantor Fitzgerald Research Department at 110 East 59th Street, New York, NY 10022, or refer to this website: cantor2.bluematrix.com/sellside/Disclosures.action I was not paid by Streetwise Reports for participating in this interview. Comments and opinions expressed are my own comments and opinions. I determined and had final say over which companies would be included in the interview based on my research, understanding of the sector and interview theme. I had the opportunity to review the interview for accuracy as of the date of the interview and am responsible for the content of the interview. 5) Michael King: I own, or my family owns, shares of the following companies mentioned in this interview: None. My company has a financial relationship with the following companies mentioned in this interview: None. I was not paid by Streetwise Reports for participating in this interview. Comments and opinions expressed are my own comments and opinions. I determined and had final say over which companies would be included in the interview based on my research, understanding of the sector and interview theme. I had the opportunity to review the interview for accuracy as of the date of the interview and am responsible for the content of the interview. 6) Raghuram Selvaraju: I own, or my family owns, shares of the following companies mentioned in this interview: None. I personally am, or my family is, paid by the following companies mentioned in this interview: None. My company has a financial relationship with the following companies mentioned in this interview: None. I was not paid by Streetwise Reports for participating in this interview. Comments and opinions expressed are my own comments and opinions. I determined and had final say over which companies would be included in the interview based on my research, understanding of the sector and interview theme. I had the opportunity to review the interview for accuracy as of the date of the interview and am responsible for the content of the interview. 7) George Zavoico: From time to time, Streetwise Reports LLC and its directors, officers, employees or members of their families, as well as persons interviewed for articles and interviews on the site, may have a long or short position in securities mentioned. Comments and opinions expressed are my own comments and opinions. I determined and had final say over which companies would be included in the interview based on my research, understanding of the sector and interview theme. I had the opportunity to review the interview for accuracy as of the date of the interview and am responsible for the content of the interview. 8) Interviews are edited for clarity. Streetwise Reports does not make editorial comments or change experts' statements without their consent. Streetwise - The Life Sciences Report is Copyright © 2014 by Streetwise Reports LLC. All rights are reserved. Streetwise Reports LLC hereby grants an unrestricted license to use or disseminate this copyrighted material (NYSE:I) only in whole (and always including this disclaimer), but (ii) never in part..